St. Mary's Ryken is located at 22600 Camp Calvert Rd., Leonardtown, Md., 20650. The main telephone number is 301-475-2814. Theater and concert performances are held in the theater of Romuald Hall. The Admissions Office is located in Romuald Hall on the lower campus. 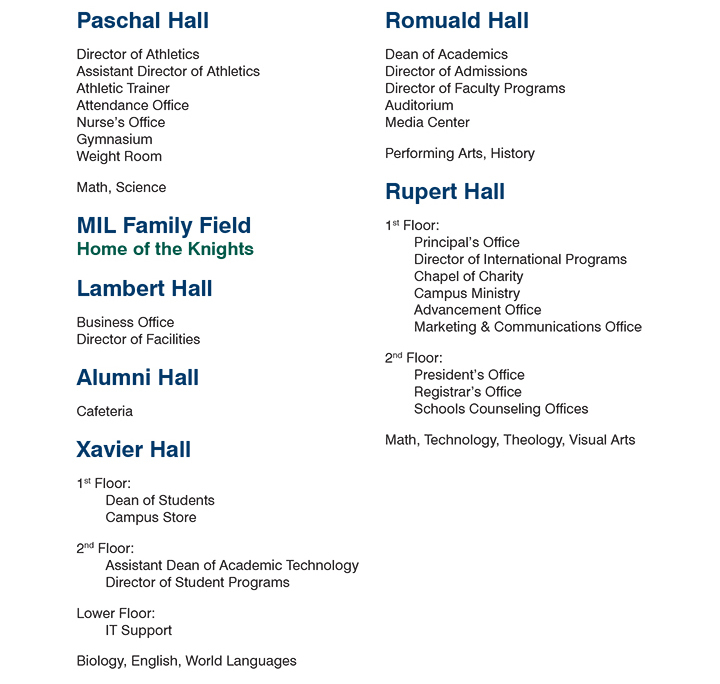 If you are attending an Open House, please follow the main road to the lower campus to Romuald Hall. (There is a circular, brick garden in front of the building.) If you are Spending a Day as a Knight, please check in at the Admissions Office in Romuald Hall. More information about Leonardtown and nearby attractions.